Patients and doctors at NHS Dumfries and Galloway are set to transfer to the new £270m hospital this weekend, after months of preparation. 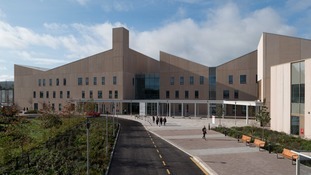 Construction of the new Dumfries and Galloway Royal Infirmary is now complete. The name of the new £212 million hospital in Dumfries has been confirmed, and is the same as that of the old hospital. It will be called the Dumfries and Galloway Royal Infirmary, now that permission to transfer the name has been confirmed by the Royal Naming Team. The hospital is due to be handed over to NHS Dumfries and Galloway in September 2017, and is expected to open to the public by the end of that year. A family from Dumfries say their lives have been turned upside down due to a number of failings made by staff in Ward 7 at DGRI. A man has been hospitalised after a car and van collided in Dumfries and Galloway this morning.